An ultra-classy melodrama with such a riveting story line that you'll likely be hooked from scene one, SIMON AND THE OAKS is as impressive an adaptation of novel to film as I have seen in some time, beating out even the recent and quite good Eye of the Storm. It is not surprising that the film garnered 13 Guldbagge Award nominations (the Swedish "Oscars"), of which it won two -- for best supporting actor and actress. 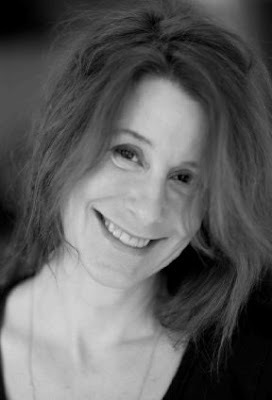 As directed and co-adapted -- with Marnie Blok and Linda Aronson, from the international best-seller by the late Marianne Fredricksson -- by Lisa Ohlin (shown at left), the film is a visual feast from its opening through its finale. 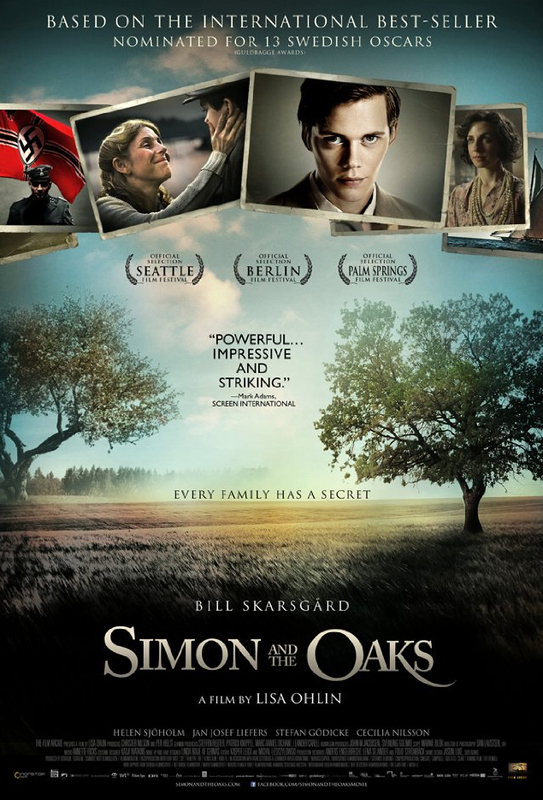 Taking place in the Swedish countryside and along its gorgeous coastline, the movie posits a pantheistic connection between its hero, Simon, and the natural world that exists all around him, particularly those oaks which he frequents (he has a tree-house in one of them), speaks to and which seem to be speaking to him in return. This plot is fueled by the dual themes of parenting and parentage, nature and nurture; by music and art; and by Anti-Semitism and the Holocaust. Because the film is set in Scandinavia, an interesting "distance" from those horrible events is maintained. Scandinavian Jews were indeed rounded up and sent to concentration camps, and we see the devastating results via the character of one young woman, Iza, from Isak's extended family, even as Simon and his family are kept from harm -- often by the very ministrations and help of Isak's father (Jan Josef Liefers, above), a wealthy Jew who somehow manages to keep life, limb and fortune all intact. The movie moves from Simon's and Isak's boyhood (above) through their years as young men (below), and although a couple of decades are covered, the filmmaker maintains a measured pace, and so the film's near two-hour length allows it to create characters that -- while they may not be as strong and detail-filled as the novel's -- are plenty rich enough to thoroughly involve us and carry us along. 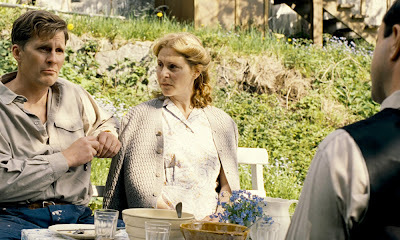 Performances are strong throughout, and while it was Mr. Liefers and Cecilia Nilsson (as Simon's "aunt") who walked away with the awards, it seems strange to me that Helen Sjöholm (below, right) and Stefan Gödicke (below, left) as Simon's "nurture" parents didn't win, as well. The whole cast deserves a lot of praise for bringing to life characters that make up a tale that I shall remember for a very long time. I suspect that word-of-mouth is going to be quite strong on this movie. So if you appreciate terrific storytelling and don't mind reading English subtitles, consider yourself advised. Alert your like-minded friends -- and enjoy! Simon and the Oaks, from The Film Arcade (a new distributor worth watching, I think), opens this Friday, October 12, in New York City exclusively at The Paris, and the Friday following in five more cities, with a dozen more to come in the next few weeks. Click here to see a listing of all currently scheduled playdates, with cities and theaters shown.